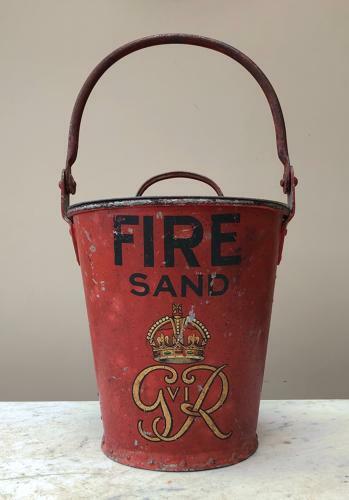 Wonderful Condition Antique Fire Bucket with its Original Lid in Complete Original Condition. King George VI dating it to 1930s. Fantastic original paint, outside & inside.